Lately I have been listening to Nick Drake songs from my collection, and started wondering what he was about. I mean, I was aware that he died young, but beyond that I knew nothing about the man. So I figured I would do a little research to find out what he was about, and maybe talk a little about his music. If you have not heard of him before, he was an Englishman who wrote songs, played the guitar, and recorded some of the best music that you have never heard before. Well, you may have heard one of his songs on that Volkswagen commercial. He was not commercially successful in his lifetime, but posthumously inspired many popular musicians, including Kate Bush, Robert Smith, and Peter Buck. Nick Drake was born in Rangoon, Burma after the war, and grew up in the country town of Warwickshire, England. Both parents were both musical people and wrote their own songs. Some of his mom’s old recordings were discovered later on, and her style was very similar to her son’s. He learned piano and began recording his own songs, before heading off into the usual collection of English boarding and prep schools. As he was musically inclined, he learned other instruments, and eventually the young man ended up at Cambridge. Music overcame his other academic interests, and Nick signed a contract with Island records and eventually left school after finishing his first album. There were three albums released during his lifetime: Five Leaves Left, Bryter Layter and Pink Moon. None were terribly successful (less than 5,000 sold of each), most likely because he shunned live performance or promotional activities and interviews. This is why there is no known live footage of Drake performing, so you are out of luck if you decided to search for him on Youtube. 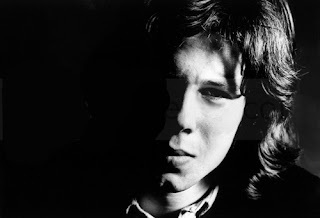 Nick Drake was afflicted with depression, and after he finished his third album, Pink Moon, he stopped performing and recording and went into seclusion at his parents’ home. A few years later he died of an overdose of his prescribed antidepressants. He was only 26. His songs are guitar-based folk music, and you can hear influences from Bob Dylan and Josh White. Nick taught himself to play the guitar, and he used finger picking, open tunings and odd time signatures to achieve the sounds he was looking for. Crushing depression led to some rather gloomy lyrics, but I have to respect the honesty and willingness to let it all hang out and to provide the world with a glimpse into his heart and mind. I rank 1969’s Five Leaves Left as #1 on my list, as it seems to me that this was when his body, mind and creativity were at their best. There are beautiful melodies, and his guitar work is clear and innovative. The string arrangements are tastefully done, and the whole effort is very mature. The standout track for me is “Fruit Tree,” which might be the best song he ever recorded. Bryter Layter from 1970 is a close #3 on my list. This sophomore effort was an effort to head more mainstream and pop, which is odd as there are three instrumental tracks that do not seem they ever would have been very commercially viable. My favorite track on this one is “Northern Sky,” which really puts all of the pieces together. The lyrics are heavy, and his voice combines with the score (and some nice piano work by John Cale) to give a picture of how talented Nick Drake really was. Nick’s final complete studio album, Pink Moon, was completed in 1972. This one get second place, but only because it is not as pretty as his debut album. This effort shows the true character of Nick, with everything else stripped away. It comes in at less than a half hour, but that is probably just the right amount of time. This one just has Nick and his guitar (and a little piano on the opening track), and the songs are stark and his voice is raw and emotional. His depression shines through and there is a sense of his true depths here.